New year's resolutions aren't just for your personal life, they are also for your work life! Another new year has rolled around (rather too quickly for my liking!) and my guess is that like many of us you have used this turning of the calendar to create New Year's resolutions. Personal commitments focused on you and your success. But what about your team? This is the time to broaden your focus from your individual goals and to take a moment to stop and consider your team goals. How are you going to build a high performing team and ensure the success of all? You've probably been involved in a team-building exercise at some point. Perhaps it was a weekend retreat or an afternoon playing golf. Whether or not you thought it was a good use of your time, I'm curious to know what happened when you all returned to the office. Did everyone go back to their usual behavior — working individually rather than collaboratively, talk about each other rather than to each other? In my experience managers planning a team building activity do not spend much time thinking about “what will be different.” A "day of fun" is always a nice break from the day to day, but without a clear goal and purpose can be seen as frivolous and do more harm than good. To build a high performing team you need to ensure that the lessons learned are relevant to your team and that they are applied when everyone goes back to work. I have the opportunity to work with teams across industries who are looking to reach the next level of performance. 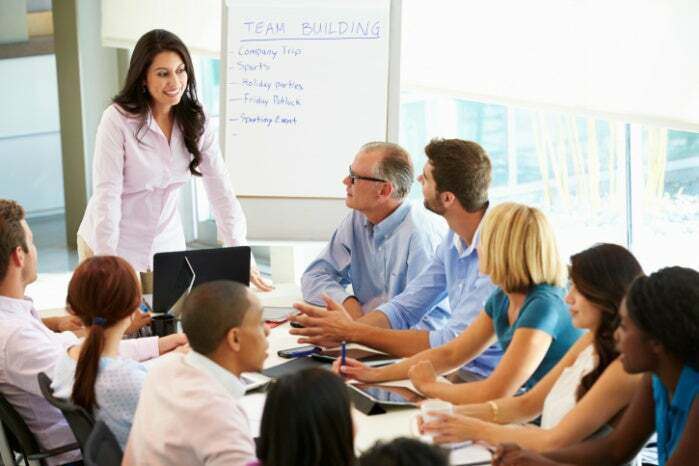 They recognize that focused team development is not a "one time event," but a process that incorporates continuous improvement, developing new habits that become part of the team’s (and organization’s) culture — it is how you do business that matters. 1. High performing teams apply common sense. This isn’t rocket science, don’t over engineer it! If you ask your team what are the characteristics and behaviors evident on a high-performing team, my guess is they will easily come up with a long list. (You can also ask about worst teams and things to avoid – again another long list). There you have your recipe for high performance. What are you and your team committed to doing next to move towards high performance? 2. A high performing team has is an uncommon discipline. High-performing teams go beyond the transactional, tactics and tasks and do something with the common sense knowledge that they have. Richard Branson talks about spending an hour a week with his direct reports discussing what is working and what is not on the team dynamics and behaviors — not the transactional piece. In having an uncommon discipline high performing teams do what they say they are going to do. Creating the common sense list is easy… following through and turning that into meaningful habits in your team is more challenging. What behaviors does your team say they're committed to but demonstrate inconsistently? When crisis hit, which rules get thrown out (even if they are damaging to the overall team)? What are the non-negotiable items that the team need to commit to, no matter what? 3. Name the elephants. High-performing teams talk about the tough topics, the elephants in the room, gorillas in the corner, those sensitive issues that get in the way of success. Average teams adopt something closer to “The Emperor's New Clothes” approach, where all can see the problem but no one dares call it out. Candor doesn’t mean they always agree, high performing teams learn to "fight well," they disagree (and can do so quite vociferously) but when a decision is made they are all behind it. Dissent happens in private, its one voice to the rest of the organization. And more importantly… even after a "stand-up-knock-down fight" relationships are intact if not strengthened by the candor and debate. What baggage needs to be cleared so that the team can move forward together? 4. Be clear on the purpose and goals of the team. I've worked with executive-level teams who when asked if they are clear and in agreement regarding the purpose and goals of the team will all say “Yes absolutely!” I love it when that happens, as I will then call their bluff and ask them to list the three strategic priorities the team must achieve in the next time period. Invariably I will end up with a list of 9, 12, 15 or more items… not the three that a closely aligned team would deliver. Four resolutions, twelve questions that will set your team up for success in 2017.